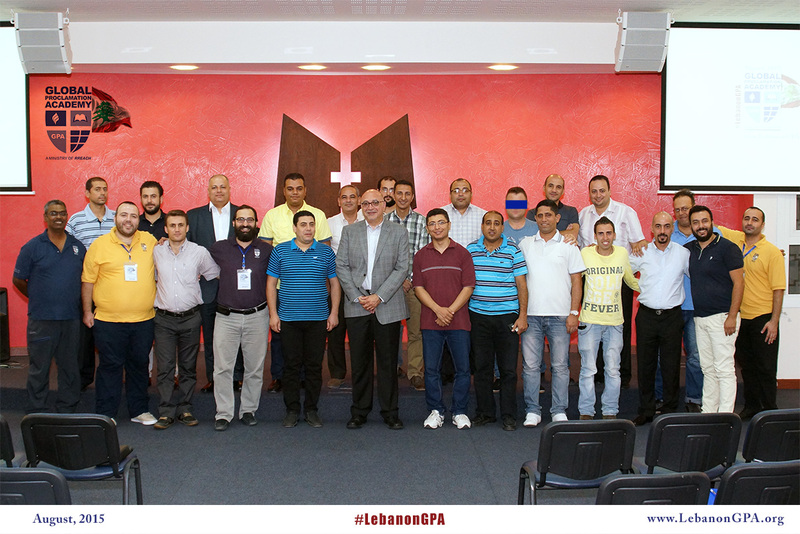 Under the most difficult of existential circumstances, 19 younger, lead pastors from Lebanon and surrounding countries met for the first part of GPA Lebanon. The finale is scheduled for November, perhaps with their spouses. Praise be to the Lord! GPA Burkina Faso is scheduled to begin September 10. They, too, have encountered major difficulties from general political instability. Please ask God for each delegate’s safe arrival and for the Holy Spirit to empower organizers and Master Coaches. Dr. Richard did arrive home safe and sound after his trip to South Asia. The next 10 days of his schedule include a trip to the East Coast, a local speaking engagement, a trip to the West Coast, and a board meeting. Spreading the word about the GProCongress remains a critical focus. Please intercede for positive response, efficiency of registration, and funding to meet increasing obligations as the Congress nears. By the time you read this, the Lord willing, Dr. Ramesh Richard will be finishing two super-charged weeks in South Asia. Response to his GProCongress vision-casting has been tremendous. Pray for the ongoing blessing of safety and health as he travels back to Dallas. GPA Lebanon is being “amazingly received,” reports national GPA coordinator Rajiv Richard. The closing session is Saturday, after which many will return to ministry in highly dangerous areas. RREACH has recently received reports from GPA pastors in a number of different countries facing increased persecution. Their concern is less for themselves than for their families. Please pray for God’s mighty hand to cover them, for His peace and wisdom to fill them, and for their lives to be a radiant testimony to the Lord Jesus. While efforts to spread the word about the GProCongress among pastoral trainers are highly visible, behind-the-scenes efforts to find the right people for speaking/discussion-leading/presenting roles are no less intense. Please ask the Lord’s provision in selecting, asking and hearing from each candidate, and for schedules to clear to permit participation. Today Dr. Richard is set to depart for the next country on his South Asia itinerary. Beginning Saturday morning, he is to speak seven times in 48 hours, including at four full church services. Pray for his health, strength, and continued receptiveness to the Holy Spirit. Also pray that many will be receptive to the Lord’s message given through him. Registrants from 70 countries have applied to the GProCongress so far. Because an event like this has never been done on a global scale, the mobilization team is breaking new ground in encouraging leaders to consider its tremendous value. Response has been highly positive, yet word needs to spread even more rapidly. Please ask the Lord for it to “go viral.” Also intercede for the registration team. Pray that the process will function smoothly, quickly and without technical glitches. Thank you for remembering GPA Lebanon, set to begin Sunday, August 30. They need the Lord’s special covering amid the ongoing threat of violence in the entire region. Since we asked you to pray for GPA Lebanon, more pastors began applying. Thank you! Please continue to ask the Lord for a full set of 25 pastors and for His protection and favor as the organizers work hard to bring the GPA about in the challenging region. GPA Burkina Faso organizers rejoice that they have a good number of applicants for the Sept. 10 – 19 event, and yet they face challenges from the country’s political instability. “Thanks everyone for your prayers, which help us to be strong, wise and make all things according to the will of God,” says Pastor A, Dallas GPA 2014. After a quick trip to Houston for a speaking engagement this weekend, Dr. Richard is set to travel through three South Asian countries next week. He plans to cast the GProCongress vision for several groups of leaders and has numerous speaking engagements. Please pray for the Lord to speak powerfully through him, and that he will maintain good spiritual and physical health during the busyness. Also remember the critical need for the right speakers/presenters/forum leaders for the GProCongress. Pray for the selection and invitation process, and for good response.